When iOS 12 hits iPhones this fall, it will instantly be familiar to the millions of users that rush to install it. 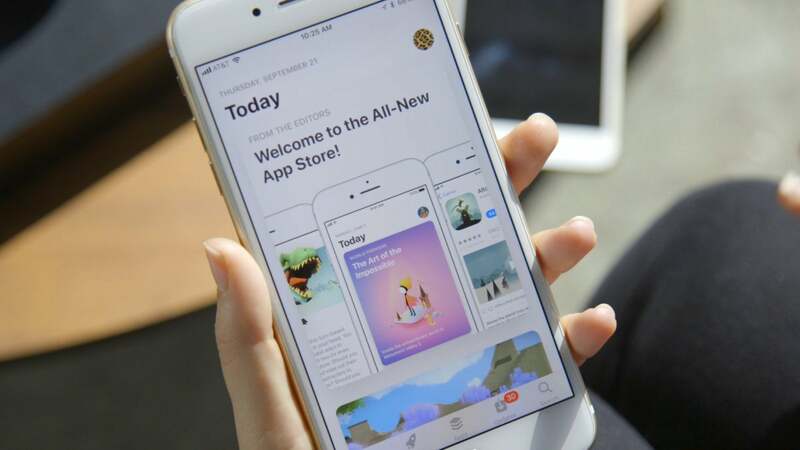 Apple may be ushering in a new version of its mobile operating system with a whole set of new features, but the focus will still be where it's always been: on individual apps. As it stands, iOS—like macOS, Android, and pretty much every operating system out there—is basically a means to our apps. Whether you’re making a call, sending a message, or watching a movie, you’re using an individual app to do it. Even if you look at iOS 12’s main features—Memoji, Group FaceTime, AR measuring—they all require opening an app first. But after 10 years of downloading apps—a milestone that Apple marked by spotlighting some of its most successful developers—there are more signs than ever in iOS 12 that things are starting to change. 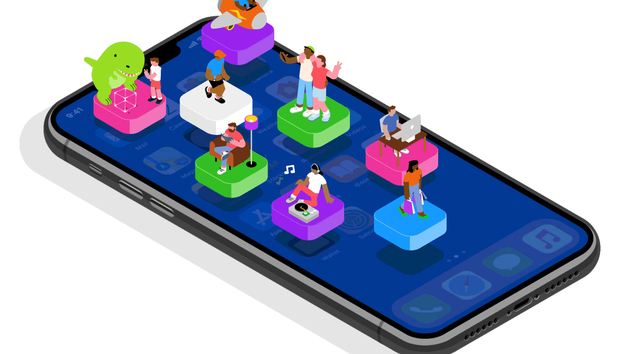 By the time the App Store celebrates its 20th anniversary—and likely well before that—the way we shop and download might be a whole lot different than it is now. It’s no revelation to say the App Store has changed since it opened in 2008. What started with overly simplified and mostly single-use apps have evolved into full-featured tools that are deeply integrated with iOS through deep sharing, cloud services, and extensions. 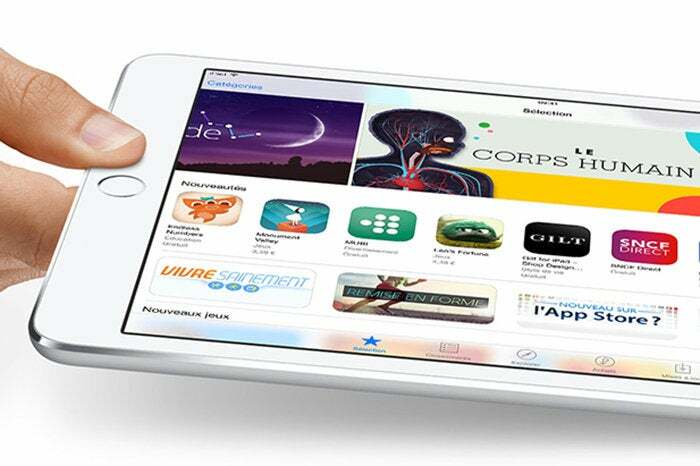 The App Store will likely look a whole lot different in 2028—if it even exists at all. Mueller’s series of Carrot apps (Weather, Hunger, To-Do, Fit, and Alarm) are tailor made for a decentralized app model. Less an app than an experience, Carrot uses its unique character and personality to draw users into its world, with as close to an immersive, seamless experience as you can get. Mueller has been waiting for the opportunity to take his snarky assistant out of the app and into iOS proper, and iOS 12’s might be just the thing. Siri Shortcuts will let us use our favorite apps without actually needing to open them. The means to that end starts with iOS 12's Siri Shortcuts. 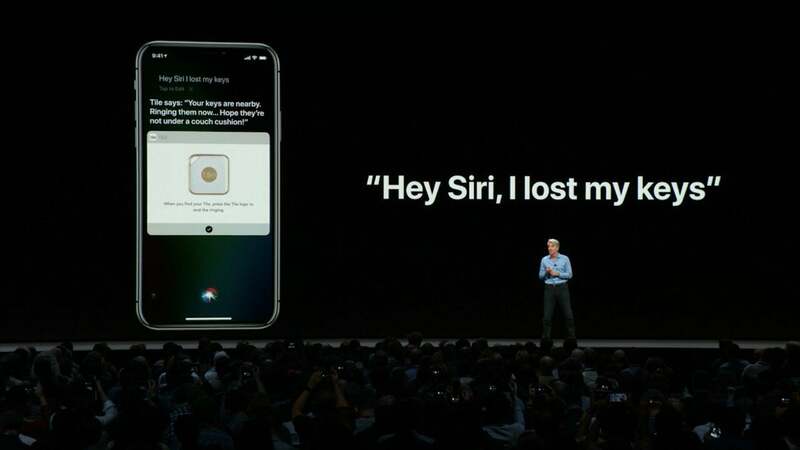 Part of a new initiative to give Siri greater control over third-party apps, Shortcuts is Apple’s spin on the automated Workflow app (which it bought in 2017) to “quickly accomplish tasks... directly from the lock screen, in Search, or from the Siri watch face.” In iOS 12, developers will be able to set up Siri Shortcuts that grab data from apps without users needing to navigate and tap it. Apps will still be installed on your phone (for now anyway), but iShortcuts takes us one step closer to an ecosystem where actions rather than full apps, are at the center. The App Store could become a whole lot less important once iOS 12 lands. Maybe Siri Shortcuts cab help Mueller turn Carrot into a smarter forecaster by giving it system-level integration. Or it could let Reflectly founder Jacob Kristensen give users the option to record a journal entry without even touching their iPhone. Of course, a switch to a voice-first interaction isn’t going to be for everyone. Millions of users will still want to quietly tap their screen to get things done, and Apple isn’t about to take that away. But how we use and download apps will likely be very different when the App Store celebrates its 20th anniversary in 2028. With the rise of subscription services that replace the need for regular app updates, we might not actually be installing much on our phones at all. Carrot’s subscription service opens up feature that are too expensive for the developers otherwise. As subscriptions become more of a viable way for developers to offer a wide range of features with a low entry fee, it seems inevitable that all of our favorite apps will shift to services, offering premium features and system-level integration for a tiered fee rather than releasing new versions of apps with new up-front costs. 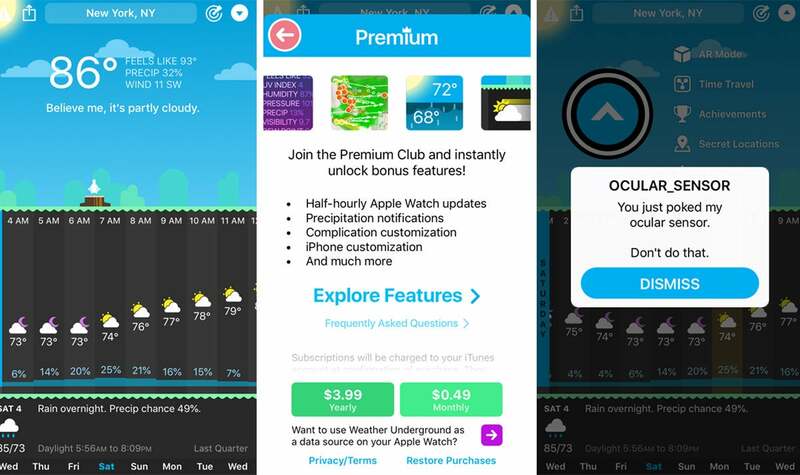 For example, Carrot Weather offers a Premium and Ultrapremium Club subscriptions for $4 and $10 a year, respectively, that provide severe weather alert and daily summary notifications, app customization, and background updates on the Apple Watch. Subscriptions gets a bad rap, but they aren’t just another money stream for developers. Take an app like Facetune2, for example. It’s not just the most popular selfie editor in the App Store, it’s also on the cutting edge of where the iOS model is headed. If you pay for a Facetune2, you get way more customization options for your selfies. 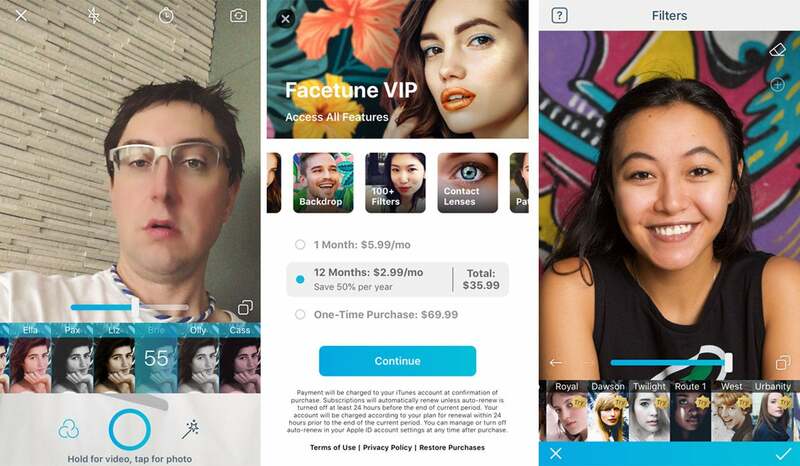 Facetune2 was one of the earliest apps to embrace the subscription model and it initially took some blowback from users. But Lightricks stayed the course (and also continued to offer Facetune1 at its original $4 price), and now Facetune2 offers one of the most robust subscription services around, with both per-item and per-month transactions that offer a wide array of services that just wouldn’t be possible with a one-time charge. 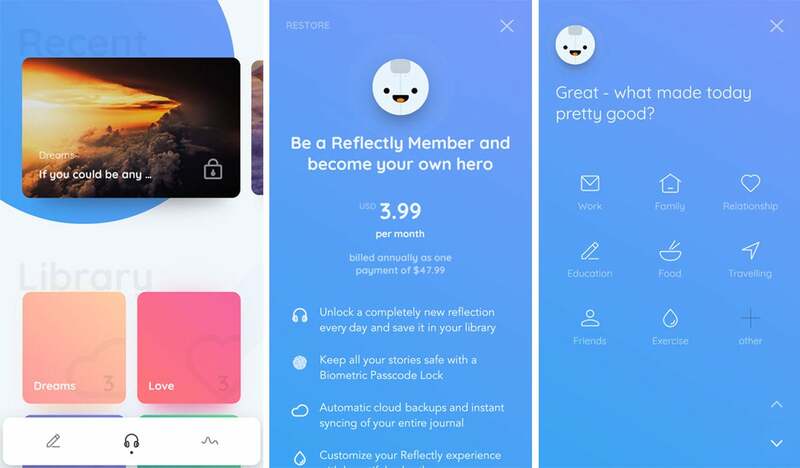 Reflectly can do a lot of fun stuff for free, but a subscription opens up some really great features. No matter how powerful they have gotten, our favorite apps still need to be deliberately launched to get much use out of them, just like the Notes, Weather, and YouTube apps on the original iPhone. iOS 12 isn’t going to change that, but Apple is clearly taking steps toward moving beyond an app for everything. It’s not just Siri shortcuts. It’s easier to make calls in Messages. Screen Time is a setting, not an app. If developers take advantage of Siri Shortcuts (and there’s no reason why they shouldn’t), it could represent a turning point for the iOS app economy. There’s already a rumored home screen redesign set to debut in iOS 13, and there’s a good chance Apple finally does away with the app grid, so we won’t have to look at a pile of apps every time we unlock our phones. We just might not be tapping our phones to open them quite as often.